The Wiggis from KONG are cheerful toys for dogs. Thanks to the strong material, these Wiggis are suitable for long-lasting play sessions. The squeaker in the toy ensures that your dog gets extra stimulation whilst playing. 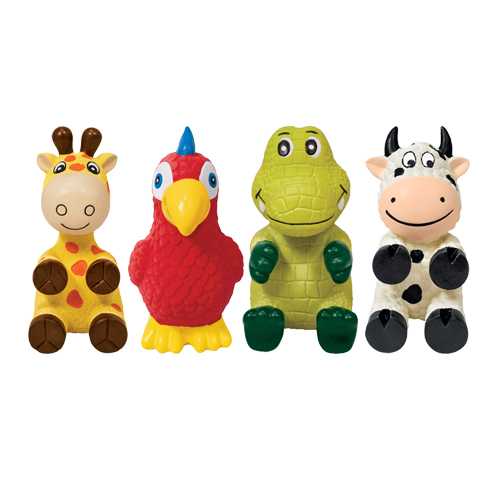 The toys are available in four different forms: cow, parrot, alligator and giraffe. Have you used KONG Wiggi before? Let us know what you think about this product.